Today is Mother's Day and I'd love to use the opportunity to tell all the wonderful women in my life just how much they mean to me. To my wonderful-beyond-words mother: You are an amazing woman. You gave five children all the love in the world and against all the odds, too. We had a great life and we knew no lack. It certainly wasn't easy to be alone, was it? I'm a woman and a mother now so, I know most of those smiles happened even when your heart was breaking. You taught us that the love we had for each other was the best thing that could unify us. You made our house a home. I love you, mummy. Happy Mother's Day! Mama, I would have told you Happy Mother's Day if the clock were turned back seven years. I haven't, yet, met anyone as selfless as you were. I always tell Nwando that her great-grandma would have loved her and that is the undiluted truth. For, you knew what that word, love, meant. I remember when you'd scold me and come ask me a short while later if you could get me something to eat. You always knew I was sulking, those times, right? I always wondered how you could overlook the fact that we had just fought and reach out to me almost immediately. Now, I know why. You had seen too much of the world. So, you knew that every second counted. You knew that time was never to be wasted. But, you knew, right? Particularly, at the end. You knew we all loved you, right? Rest on, Mama. Happy Mother's Day. God blessed me with one sister. He knew I'd need one. Someone to encourage and be encouraged by. Someone to annoy me and someone to annoy right back. I love you, sis. Happy Mother's Day. To Yennie, your faith, strength and courage blow my mind. You've made me see that out of pain, praise can flow. You got a miracle before. You WILL get another. You wanted a post about you.... (Vanity, vanity), my publicity-loving friend. You held my hand at a, particularly, dark period. I wanted to reach into the phone and twist your mouth some of the time, though. You were the voice of God for me at a time I didn't want to listen to Him. Thank you for sounding 'pious' (That was unlike you, by the way). We've come a long long way, haven't we? Thank you for being a part of my adult life, too. To you, cute Jay's beautiful mama... You were there for me when I needed a hug, the most. You checked up on me everyday till I could see the sun again. You, very gently, pushed me to act better than my feelings. Yes, you did. We weren't always this close but, I'm mighty glad you're back in my life. We got to meet, for the first time, for a particular reason. But, that was not what had God put us together for. He had greater plans. You've been a mentor to me. You've encouraged me, in more ways than one; to be just who God designed me to be. You've shown me that a woman can be all that and still have a passion for The Master. The voicenotes are amazing. Keep them coming. God gave my mother one sister for me. But, He, also, gave me twenty-nine other sisters; Beautiful, amazing women, women who love God, women, who encourage me everyday and complete my world in a whole lot of ways. It's funny that I've met only some of you but, I feel like I know most of you. I've become friends with a lot of you and I thank God for the technology that made it possible to have the gift of you. Sashes ;) good job, girl! Happy Mother's Day, my hawt sisters. To my sister in 'Obama land' and to the one in 'Eliza kingdom', you ladies rock! Obama chic, daddy's girl, I met you when we were still girls. I'm glad that you are still my friend and my sister. The sun will shine soon and everything will be alright. That's for sure, girl! Nwa Eliza, you were one of the best things in a very dreary work place. You made me laugh, a lot, while I counted the days I had left there. I guess, the little time I spent there was, partly, so I could meet you. My sisters, my friends, Happy Mother's Day. We've been friends for so long. We've shared a bond that time, distance and plenty distractions couldn't break. Little wonder you are my daughter's godmother. I love you, girl! To you, my very beautiful and extremely intelligent friend. I still crack up each time I remember what you said I wrote in your slum book. I caught up with you on that, that's for sure. The next time your cute son asks if I'm the one making you laugh, outrageously, while chatting, tell him you're most likely making me laugh the same way. To you, 'Idi Amin' (couldn't resist that); some weeks ago, you spoke words of comfort to me that let me know that my Father's arms never left me. You reminded me that I gained victory a long time ago. Thank you! To my beautiful daughter; Sugar, you pray to God, already, to give you plenttttyyyy babies. Yay!!!! Lots of omugwo time for me. You tell me that they would call me 'grandma' but that you will still call me, 'mummy'. No one can EVER take that special place you have in my heart, sweetie. Not even some cute, cute, cute grandbabies (no matter how many they are). When, you insist on wiping Ikem's nose yourself and actually, do a good job of it, I see, a little bit of, the terrific mother you will make those plenty children of yours. I love you, my precious little girl. You are one of the best gifts I've ever received. I didn't mention a whole lot of people. Una no vex o! My life has been made better by a lot of amazing women. I have drawn strength from so many of you on different occasions. I am blessed to have you all in my life so, I celebrate you all today. To you, you, you.......Happy Mother's Day!!!!!! Yay ryt! Not long I came nd U got posted. It neva changed a thing abt US cos distance was nt a BARRIER and has NEVA been. (U knw wat mean,ryt) We'v always been nd ll continue to be there for each other. (tearing uncntrbl)knt say more........ Happy Mother's day to my BESTIE *Big hug*. 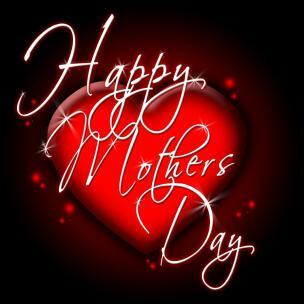 Happy Mother's day to me, my mum, all de hot Ladies in de house! Thank God for his blessings! Happy mother's day to a wonderful friend and sister...You came back into my life at a time i needed so much encouragement and you have done an awesome job of leading me right back on track. Thanks so much for all †нє encouraging words, prayers and guidance. I'll sure let Brick know what a wonderful big aunty he's got in Lagos, lol. Nice one nwanyi oma....just wondering who this "pious",vain friend of urs is. Happy mothers day u all......motherhood is a great assignment and I pray we all do justice to this task.......God bless all mums...mwah! Happy mother's Day! Thank you for a beautiful piece and your timely guidance. I thank God for the joy of motherhood and I Pray specially for all mothers still waiting to have their babies in their arms,our Father wil surely grant ur request.and to my soul sister_we'l definitely fight for those grandbabies,happy mother's day girl_u are indeed blessed. A virtuous woman who can find? Her price is far above rubies. Soft but with a determination of steel. Mother, cook,doctor,nurse, teacher- name the profession it's a mothers job. The only Jack of all trades smart enough to be the master of all ! I celebrate you today dear mother. Happy mothers day Ola, and all ma p31 ladies. Am furtunate knowing you all. Yennie God bless u, ur a true child of God n with abundant faith. Ur blessings are in the hands of your God and its safe there. He knows when to shower you with it all. Keep the faith burning. We all need to practice faith as u have. God bless you all. Happy mothers day all. Another beautiful and refreshing piece. Happy Mother's day to all mothers and sisters out there. Happy Mother's day to a beautiful, hardworking, caring friend and model mum. I love U sooo much. Our reunion after so many years has been a blessing. U have a word of support for every season and care about even the minutest details. I find in you a safe place to laugh and dance; to sob and smile. Thanks for being such a dependable friend. I know this is coming late, but better late dn neva, happy mother's day my beautiful P31 sisters, I'm glad to be amongst u wonderful mums, may God give us d grace to be super moms. Ola u are a darlyn, and a gem happy mothers day to u dear. Happy mothers day to u too! Ogonna; You're welcome, sweetie. What are sisters for? Yennie; I'm glad that you chose to talk to me. It was an honour. Still is. I thank God for the gift of you, sis. Uju; My precious sister., mwwahhh, right back @ you. Thanks, for the compliment. You know the Source, right? Adanna; Thanks, girl. You're welcome too :) Thank God I was able to help. Ella; Amen! to that prayer. Yeah, you got it right. Soul-sister's the only apt word. We share my daughter already so yeah, we'll share those grand babies. I'll enjoy omugwo alone, though :) You ARE blessed too. Jbabe; Thanks, sis. You are a special one. Chiney; Everything you've said about me, I also say about you. Whatever happened to our brain teasers? You were one person I was sure would give me a run for my money :) I love you a whole lot, girl! Myne; Thanks! :) I hope you had a good one. Sugar sugar honey; Thanks, dear. God bless you and yours real good. You all are dear to me. That's for sure. Noma; Thanks, girl. I bet you had a great day. Love you girl, we share a bond that a lot of people out there may never understand. My sister, my friend i thank god for making you part of my life and yes from your mouth to God's ears we will soon rejoice. Happy Mother's day dear!! !